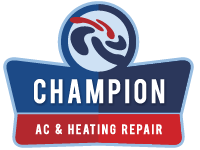 When you are shopping for a brand new heating or cooling system, homeowners will typically do quite a lot of research on the equipment itself. There are potential buyers who would go further and make sure that they’ve investigated the energy efficiency ratings as well as the advanced features of the product. There are very serious selling points out there which would distinguish certain systems and it’s important to be aware of them. With this in mind, you need to understand that this truly is amazing when it comes to shopping for a brand new system. However, there is a critical element that you might actually overlook. In fact, a lot of us have gotten used to taking it for granted and, as such, it’s not something that we consider as much. In case you haven’t figured it out already, we are talking about hiring the installer. All of these features would fail you if you don’t have the proper technician to handle the installation. So, with this in mind, what are the things that you should be afraid of? Why would it matter so much whether the installation is handled flawlessly? Well, let’s have a look at the important setbacks of major flaws in your installation. • Bad HVAC installation puts a damper on the efficiency. Those efficiency ratings which you looked at so carefully when you were make the choice of HVAC system are heavily dependent on flawless installation. If this part of the entire process is handled improperly, these ratings wouldn’t much matter. • Bad HVAC installation puts a damper on performance as well. Your brand new system might be prevented from actually bringing the necessary hot or cool air that you expect. For instance, if the ductwork isn’t handled effectively, there might be leakages which could potentially allow the treated air to escape. This would not only decrease the quality of the air that you breathe but it would also decrease the overall efficiency of the system. • Bad HVAC installation would diminish the system’s life. An improper install might actually force the system to perform a lot less effectively in conditions which are far from ideal. This causes significant amount of wear and tear on your system and it’s undoubtedly something that you would shorten its life span. With all this in mind, it is important to make sure that you hire a technician who is certified, experienced, licensed and has the expertise to handle your particular HVAC installation. If you are working with a company, brand experience is something that you would have to account for. This is one of the major customer experience defining components. There are plenty of HVAC service providers that would be happy to assist you with the installation process. They understand the process of installing it and can do further maintenance over the years to ensure that it works perfectly. Emergency Air Conditioner Maintenance Tips How To Prep Your HVAC For The Winters?